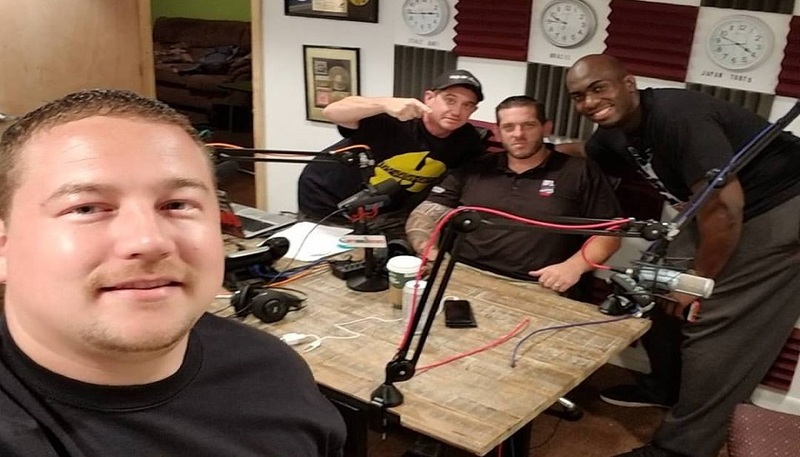 It was another fun night on MyMMANews Radio as A.J. Hiller and I were joined by NFL free agent Mike Bamiro. The 6’8″ football player talks about his tenure with the Philadelphia Eagles and New York Giants and his eventual transition to combat sports. Now having three boxing bouts under his belt Bamiro is looking to further his career in the sport. Later in the show, UFC Veteran Brad Kohler calls in to talk about Combo Hitter, a product he developed that is a safer and less bulky alternative to a punching bag. 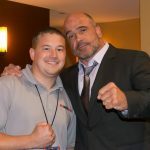 Kohler talks about his first fight in the UFC dating back to December 1997, as well as his very first MMA fight, a near one-hour long brawl with Travis Fulton. Kohler had to defeat two other men in the same night to become HookNShoot heavyweight tournament winner. The Combo Hitter will be offered a reduced price of $225 throughout today (September 26) which includes shipping to the lower 48 states. Kohler is also holding a contest where you may be able to win one for your own personal use or for your gym. Rules here. Lastly, we talk about the past weekend’s PA Cage Fight 29, Bellator 183, and UFC Fight Night 117.